1. An eye-catching floral coat with fine details you'll love – like a solid collar, waist sash, and button-accented cuffs. Not even gross weather can ~dampen~ the color of this coat. 2. 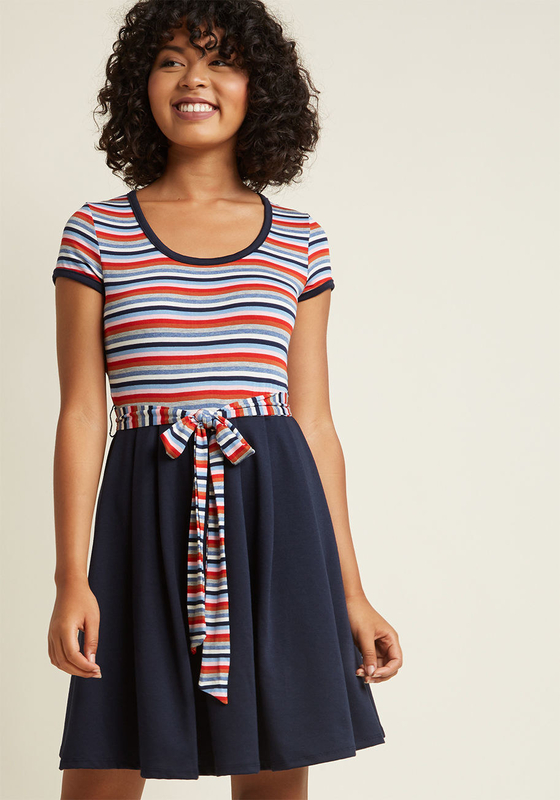 An adorable twofer knit dress that has a scoop neck, sash tie, and stripes. What more could you want? 3. 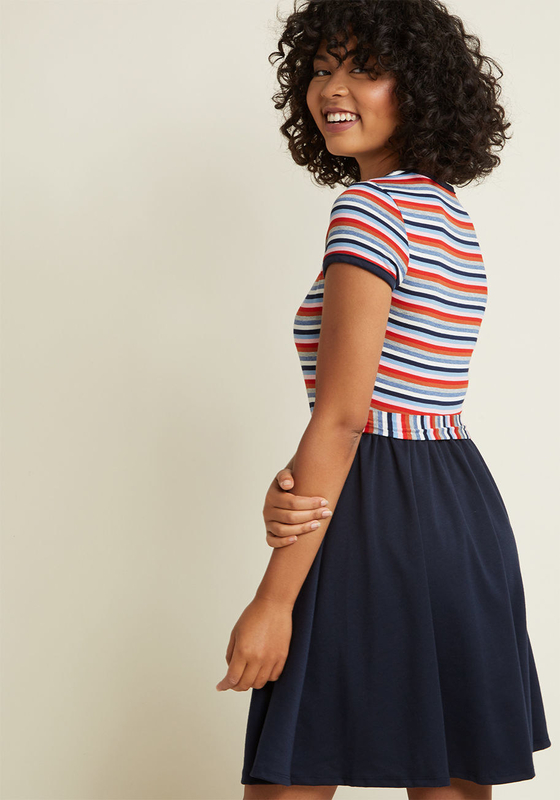 A pocketed sweater dress so you can be practical and cute. Don't let this one *fly away* from you. 4. 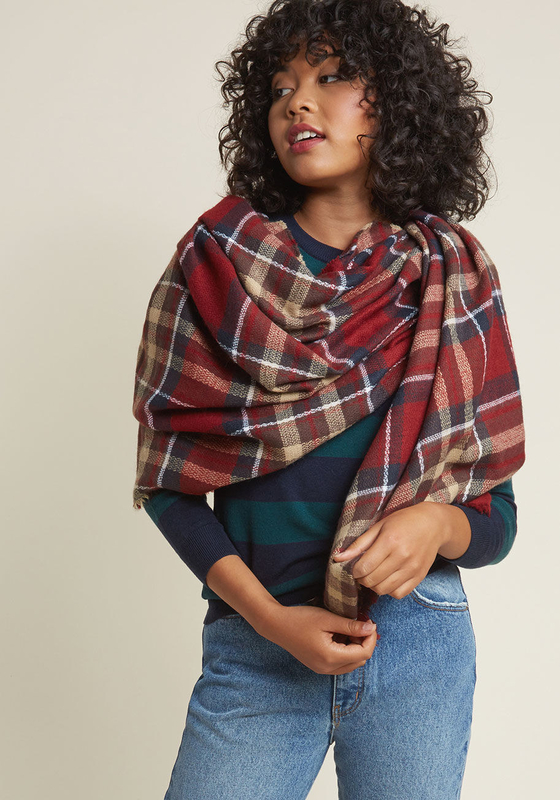 A sweater for anyone who wants to wear every fall color all at once. 5. A faux-leather jacket to serve all the looks and match all of your outfits. 6. A plaid coat that'll have you out-dressing Sherlock Holmes in no time. 7. A pair of crimson skinny jeans you can throw on in a hurry and still look stylish. 8. An eccentric sweater with a quirky bird who is ready to join your wardrobe. 9. A coat so sophisticated, you'll want to flaunt it in front of all your enemies. 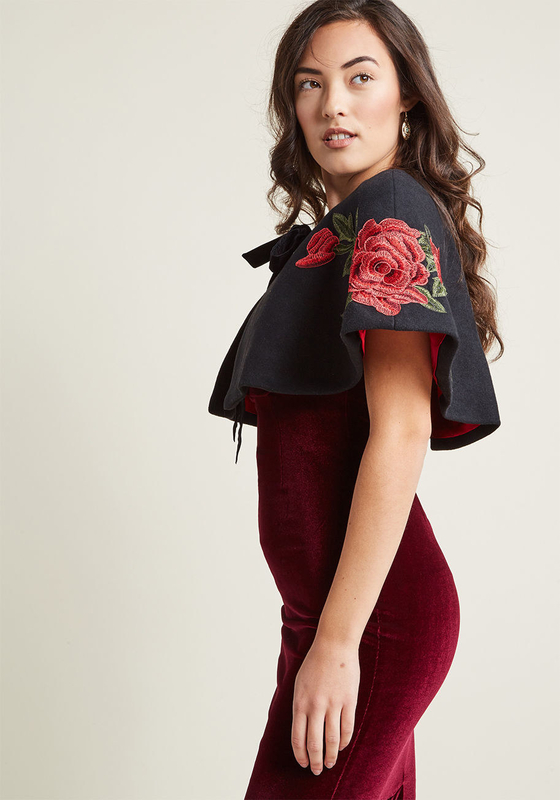 Velvet collar and removable cape included. 10. A pair of elegant gloves for texting out in the cold cold world. Don't talk to me, I'm elegantly typing. 11. 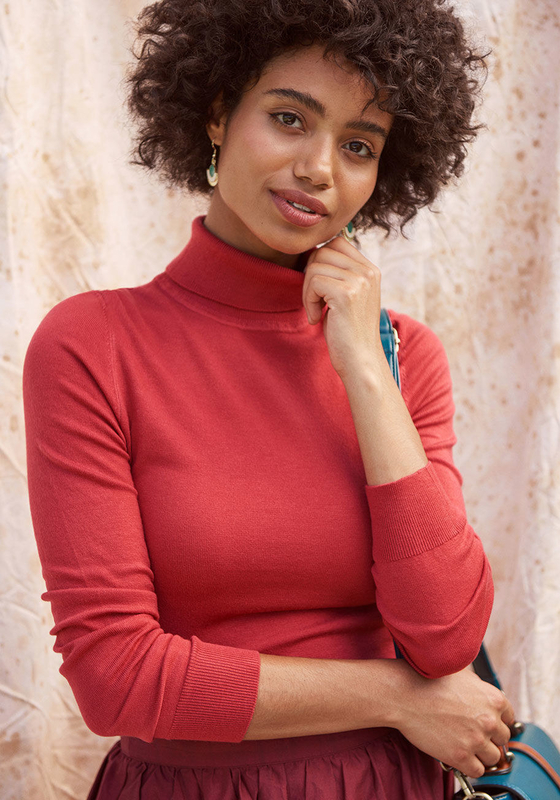 A classic turtleneck so you can be more cozy than a lil' turtle in a lil' shell. 12. 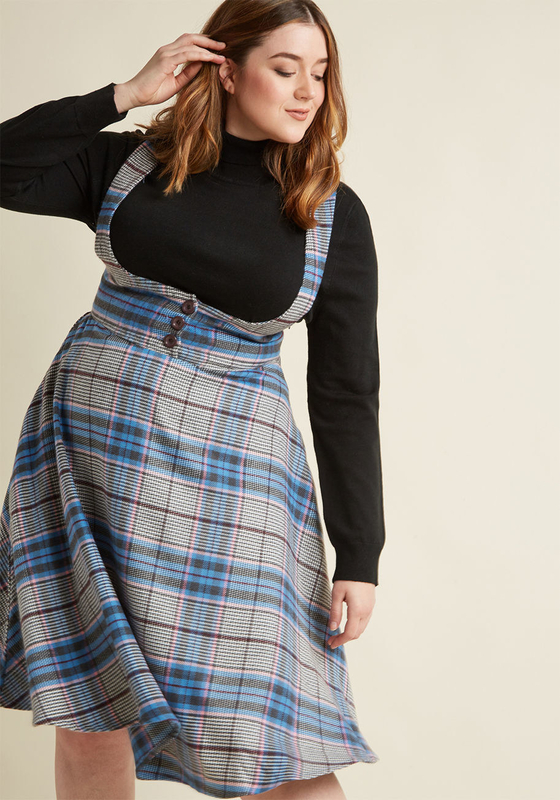 And a midi jumper with adjustable suspenders to get the whole look. 13. A pair of library-inspired socks only a true bookworm will recognize. 14. 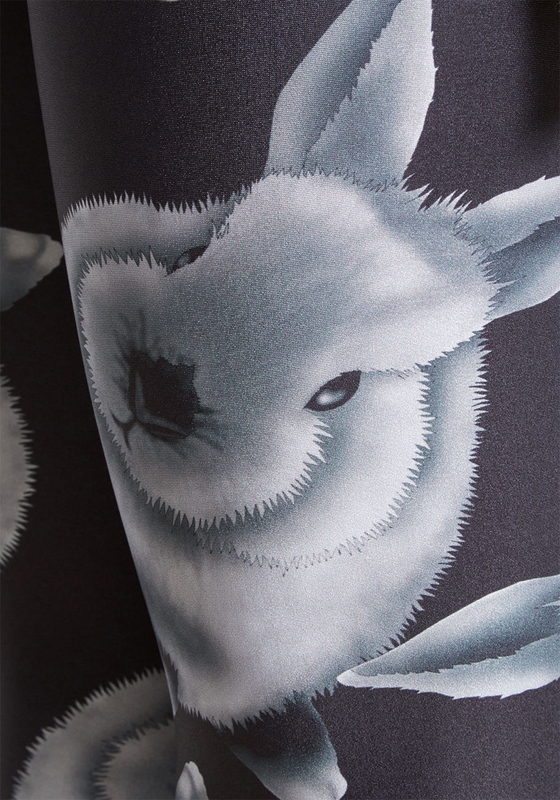 A pair of leggings featuring precious bunnies you might never grow tired of. 15. An embroidered floral skirt that just may make you the most fab dressed person on earth. 16. 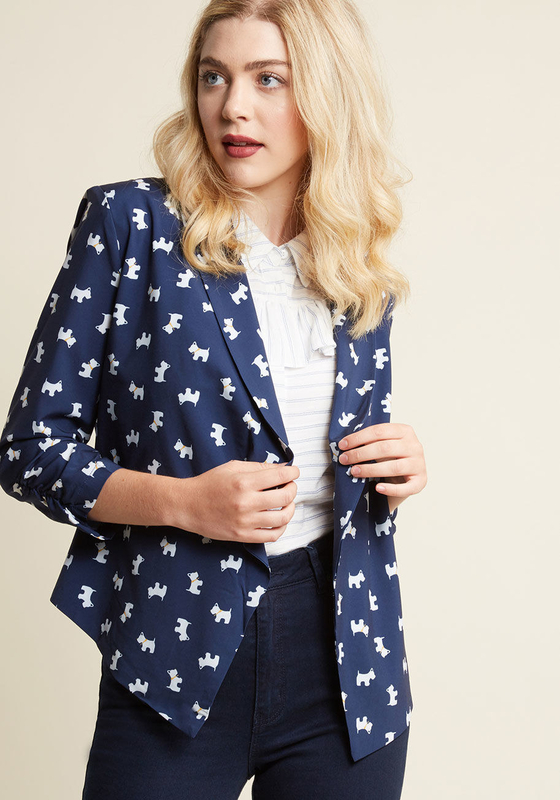 A blazer in four different colors for dressing up any outfit. 17. A beaded necklace on a gold chain to make you feel ~rosy~. 18. 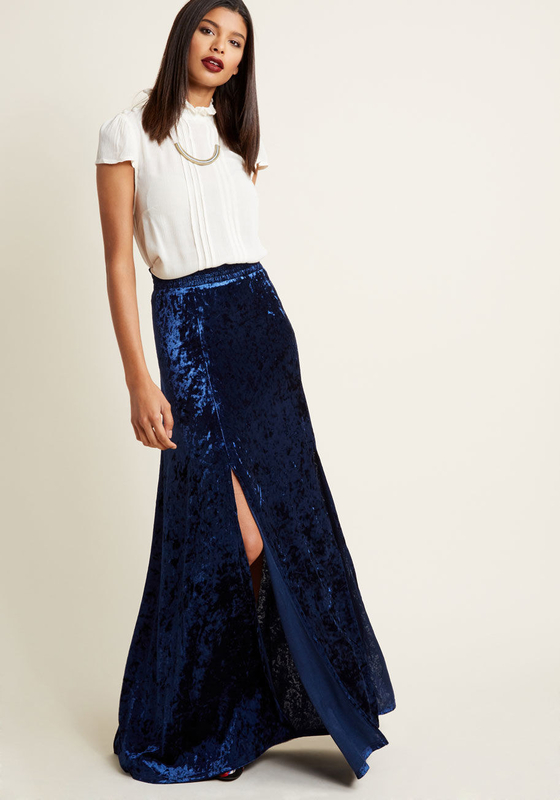 A crushed-velvet maxi skirt featuring a deep blue worthy of weeping over. 19. A pair of velvet flats everyone around you shall envy. 20. A pair of high-waisted black jeans boasting sailor-style button closures; so you can get your sleek look on a new level. 21. A faux-suede belt that'll instantly upgrade any ensemble. 22. 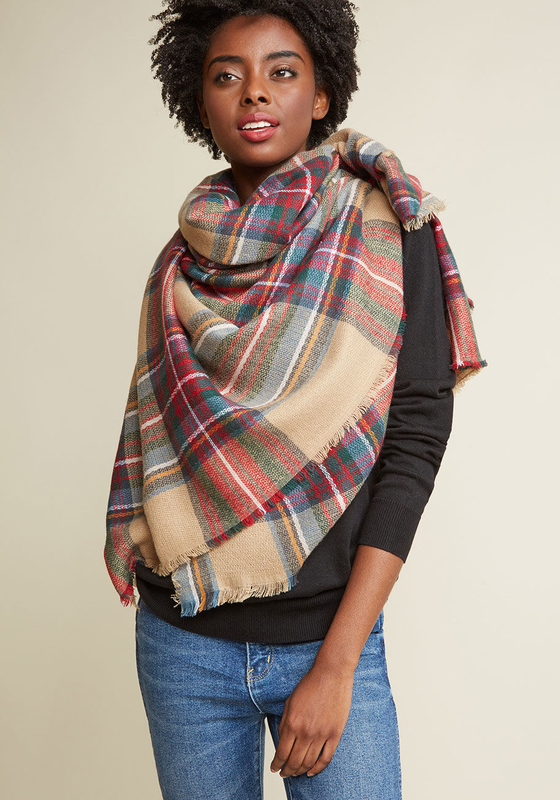 A big ol' blanket scarf to add a layer of warmth and plaid to your favorite jeans-and-shirt combo. 23. An ivory-striped sweater for anyone who's been dreaming of the perfect cropped sweater – here's your match. 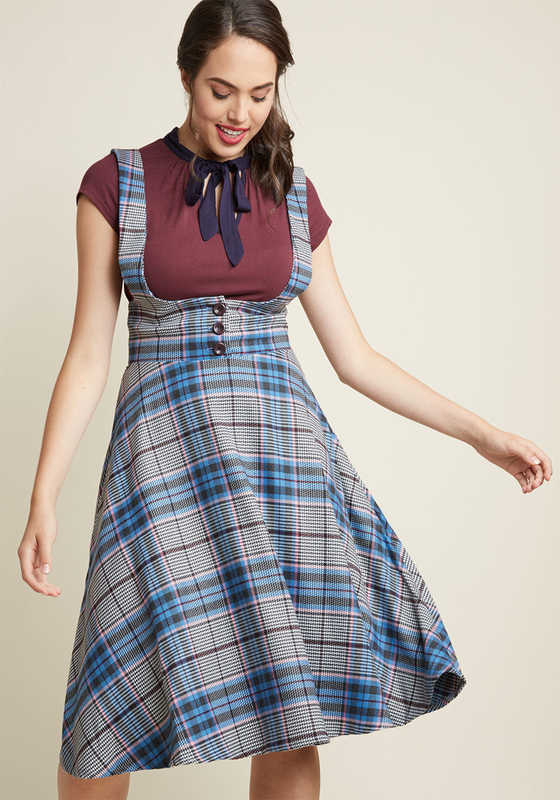 Peter Pan collar not included. 24. A pair of sheer socks with sparkles your feet just may ~shine~ in. Hello yes I am here for the sparkle party. 25. 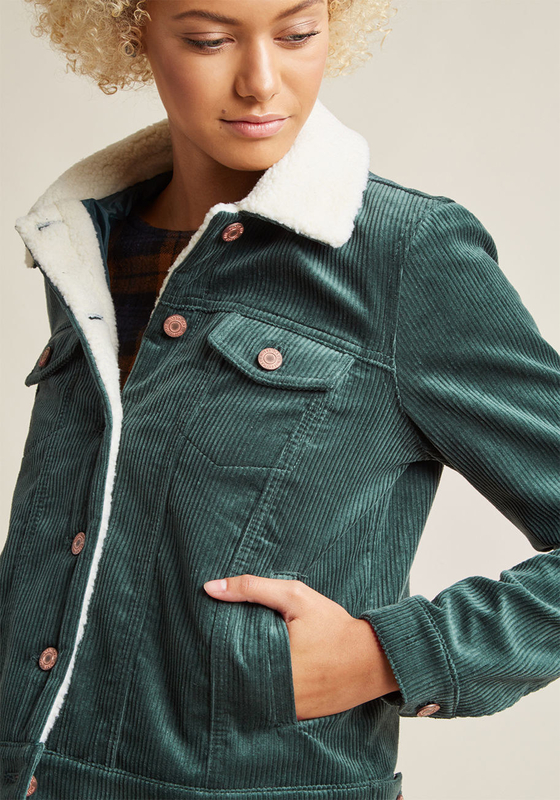 A corduroy jacket as beautiful as looking at your first-born child for the first time. 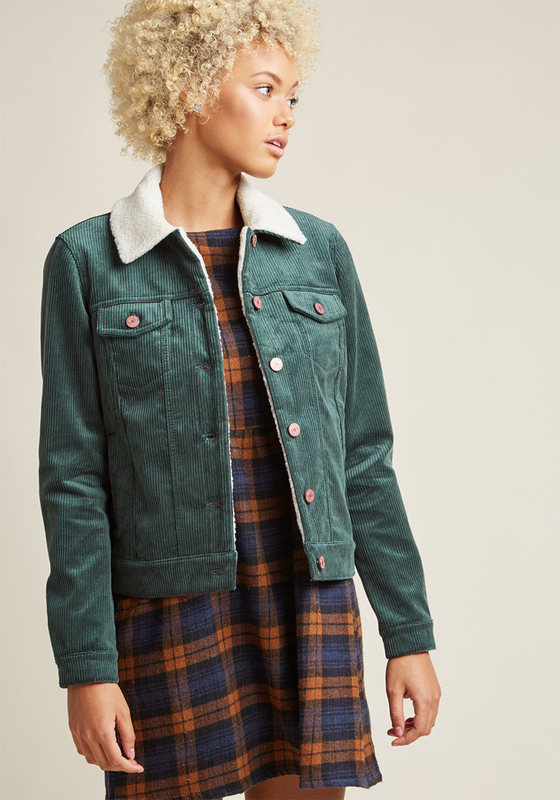 Jacket comes with a faux-shearing collar and brassy buttons. 26. 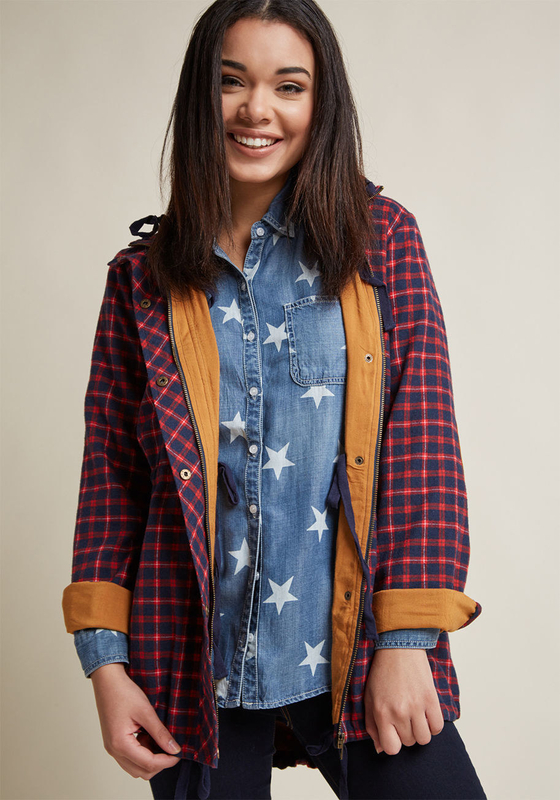 A comfy T-shirt that'll make you feel like an empowered angel. Whatever you're fighting, this shirt is here to support. 27. 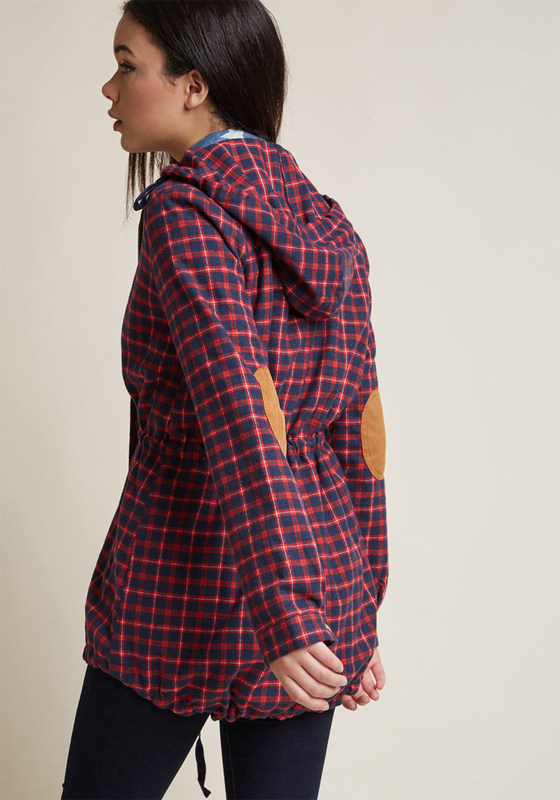 A plaid jacket featuring elbow pockets and mustard lining to give the *headed up to the lodge* vibe. It even has a hood! 28. And a hat for anyone who values warmth and being adorable. You taking on the world in your new threads.